Product categories of Gin Bottle, we are specialized manufacturers from China, Gin Bottle, Gin Glass Bottle suppliers/factory, wholesale high-quality products of Brooklyn Gin Bottle R & D and manufacturing, we have the perfect after-sales service and technical support. Look forward to your cooperation! Gin is a light-bodied distilled spirit that is made of a mash of cereal grain, usually corn, rye, barley, and wheat. It naturally has few congeners, which are the impurities often associated with hangovers. Good glass bottle increase the overall gin drinking experience, and are strongly preferred by gin drinkers. 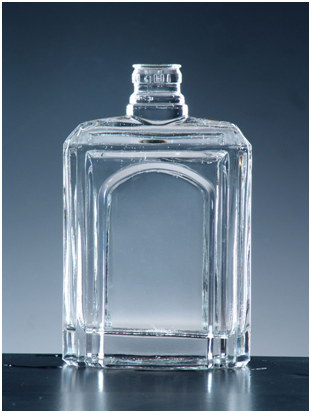 Our gin bottle is divided into extra-flint, high-flint and flint glass bottles, and fabricated by mould check, feeding, annealing, inspection& packaging. Besides, various post-processing procedures are fully utilized, including: color spraying, carving, decoration firing, frosting, sandblasting, laser engraving, polishing, silk screening and printing, etc. So, the tailor-made bottles are well reputed by big wineries at home and abroad.